 This document relates to your personal information, collected by Make Me Slick as part of the sign up process and your use of Make Me Slick services, and held by Make Me Slick as part of our day-to-day business dealings with you. Some of the personal information that Make Me Slick holds may be the same information as that which you enter in your Make Me Slick database, however our information is not collected from that source. Only you and your nominated representatives (which may include Make Me Slick employees) have access to your database under normal operational circumstances. Make Me Slick (“we”, “our”) provides services and products in the salon management and information technology industries. Part of this service provision requires us to protect your privacy. From 21 December 2001 the Commonwealth Privacy Act contains new sections that we are bound by. They concern a number of principles in relation to the protection of your personal information and in how we must deal with our customers in relation to this information. Personal information held by Make Me Slick may include your name, current and previous addresses, telephone/mobile numbers, e-mail address, bank account and credit card details, details of your services and information we require to perform our services for you. Sensitive personal financial information entered into Make Me Slick’ will not be used or disclosed by Make Me Slick except as authorised by you to perform our services for you. Should you choose not to provide personal information we may not be able to provide you with the services you require or at a sufficient level that we regard as important for performing at best practice. We take reasonable precautions to make sure that the personal information we hold is accurate and up-to-date. We appreciate notification of errors, omissions or changes in your personal information. This is especially important for information required for us to communicate with you, such as a change in name or address. The security of this information is also dependent on your own measures to protect your Make Me Slick product passwords from disclosure and unauthorised use. You have the right to access any of your personal information that we hold, with some exceptions as allowed by law. To obtain a copy of this information, write to us requesting the information and we will provide it to you. Make Me Slick reserves the right to charge a reasonable fee for the provision of this information. By continuing to use and/or pay fees to Make Me Slick, you consent to Make Me Slick maintaining, using and disclosing your personal information as described in this document.